This one day workshop will focus on Barry’s current residency with the Mass Audubon Society. 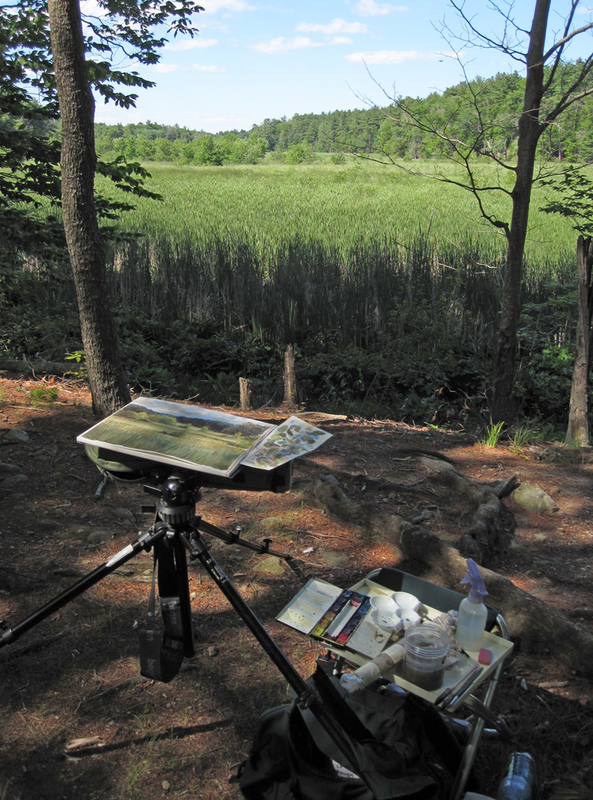 Over the past sixteen months Barry has been travelling around Massachusetts, creating paintings and drawings at Mass Audubon wildlife sanctuaries. Barry will show a selection of the more 120 watercolors he has produced for the project and share his residency sketchbooks. You’ll learn about how the artist uses optics in the field, and how he organizes his art materials for efficient fieldwork. He’ll discuss the approaches he uses to create artwork on location and in his studio. Barry will lead students through basic drawing, tone and color exercises to help them get started with creating their own record of outdoor observations. Click here or contact Sean Kent (skent@massaudubon.org) to learn more or register for this amazing program. Thank you so much for this fantastic workshop. I know everyone really felt excited to be there and spend the day at Mass Audubon learning about painting birds. 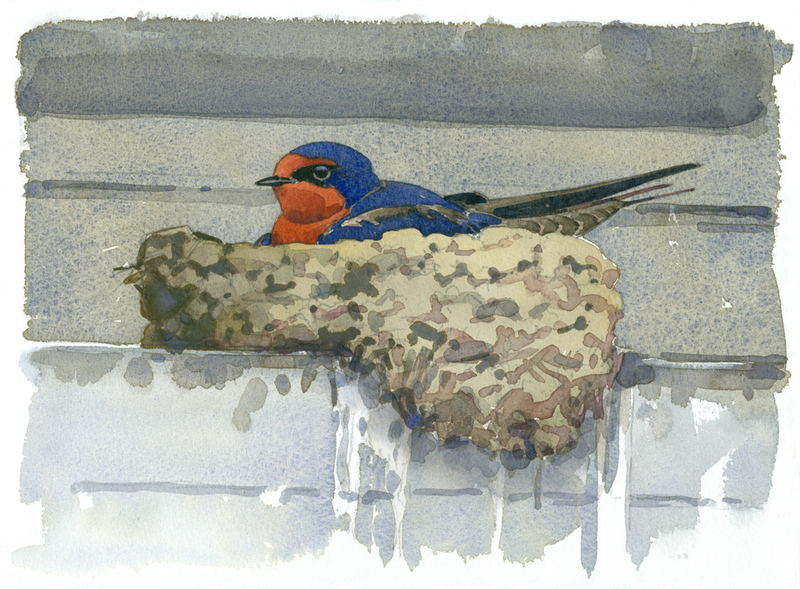 I loved Barry’s watercolors, his refreshing and inspiring paintings of birds and their habitats. I immediately put together lessons for my AP Studio art students based on his lesson and gave him full credit. My boss was thrilled by the workshop lessons I presented to her. Water color has mystified me in how to better control it–and I have taught mixing and techniques–such as wet-on-wet, still, I wanted to improve my practice. Barry, your lessons are crystal clear, practical and applicable. I truly hope your write a how-to watercolor book of the work you have shared so far–masterful. Thank you for sharing your field work techniques and technology. And what a great way to spend a rainy morning–looking at your artwork! Thank you so much for the wonderful praise! I’m so glad you enjoyed the workshop and found it so useful.